As a hopeful architect, it's important that I have some education and/or experience with the associated fields, such as mechanical and civil engineering, but those are difficult and require a lot of math and logic. As they say, architects are dreamers. It's the engineers' job to make that dream a reality, no matter how many laws of physics they must break in the process. Anyway, interior design is also a field closely related to architecture, and I personally think that it's near impossible to design a house without considering the smaller details that go into making it a home. 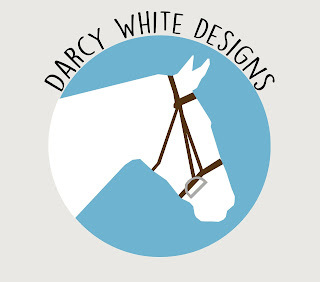 It is for this reason that I am currently obsessing over Darcy White Designs. The majority of minimalist styled interiors bother the heck out of me because it's overdone. Newsflash: You don't have to live in a white-washed abstract to appreciate minimalism. Darcy's shop is similar to mine in that she makes the designs while another company (in her case Red Bubble) puts them on various items. 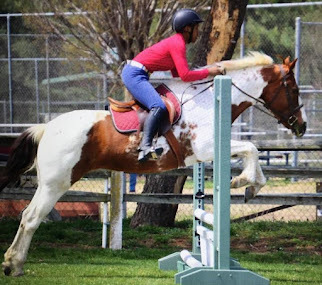 Her minimalist designs paired with Red Bubble's extensive product line create a number of equestrian items that get the point across in a simple way. 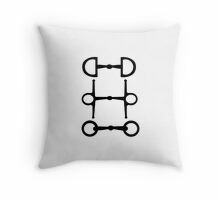 These pillows are my major fancy right now. 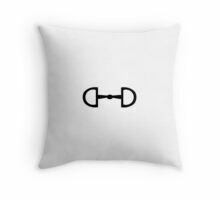 Plain white pillows with snaffle bits match with literally anything. When I actually plan my dorm room design ahead of time, these will definitely be a part of it. Until then, I can only dream. 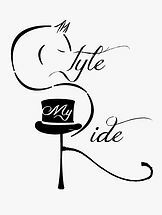 There are also pictures, both framed and canvas style to decorate with. Of course there are tons of other non-interior design oriented products like phone cases, notebooks, and even stickers. 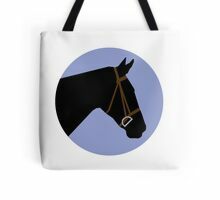 Who could possibly resist this super cute tote? Shops like these are precisely the reason I have Australian friends. yup i definitely love those pillows! They are A+ tack room decor as well. Endless possibilities.